It's been a bit heavy around here, no? I like dark, and appreciate morose, but sheesh, enough already. Bring on the dancing horses! 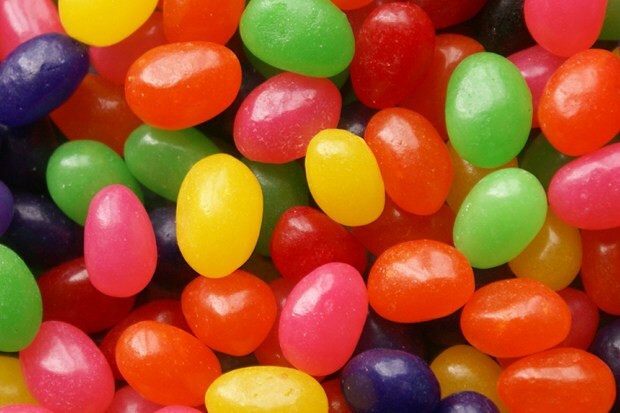 • Jellybeans. My latest favorite sweet treat, replacing butter toffee peanuts, which replaced tapioca pudding, which will soon be benched for candy corn — 'tis the season. • Scrubbing the floor. Sometimes it feels good to get on hands and knees and rub at stubborn stains, focused on an actual mess instead of the generalized worries cluttering my head. • bedraggled - an adjective meaning dirty and disheveled. I love the sound and shape my mouth makes when saying this word. for words to stir from the silences they keep. It's Thankful Thursday, a weekly pause to appreciate people, places, poems (and more), for which we are grateful. What are you thankful for today?